In our newest update, 1.3.8, we have added occlusal reference plane to make orienting models easier. 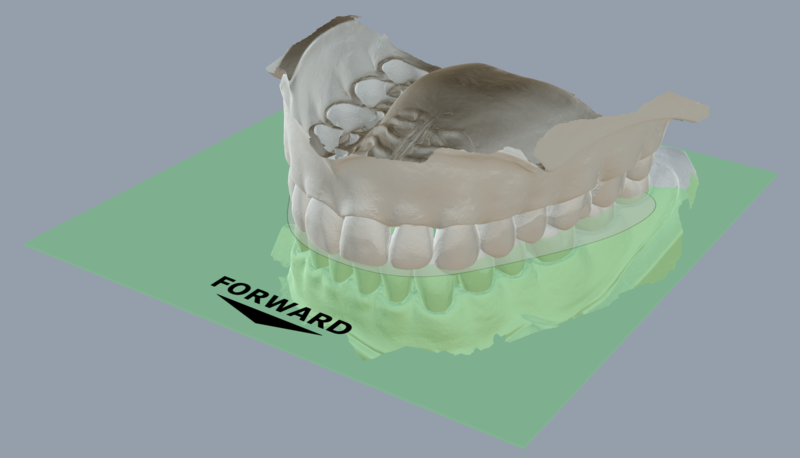 When you load a new patient, you will now see a green plane with the word "Forward" written on the front. Simply adjust the height of the model so that the upper and lower jaw are divided by the plane. The reference plane also acts a guide for ensuring the model is level. Looking down on the model, you will also notice that an outline of the jaw on the plane for the jaw to be placed into. Once your model is facing the correct direction, straight, and properly fit, you are ready to move onto segmentation.